Orpheus is a work-based measure of personality, which provides a comprehensive measure of a candidate’s personality and an assessment of traits that will contribute to an individual’s performance at work. How will potential employees integrate into the team? Will they really FIT into your organisation? Orpheus may also help to increase your retention of staff by helping to increase an individual’s fit to the role and by choosing people who will understand and respect your organisation’s values. 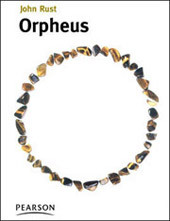 Orpheus is based on the well-established ‘Big Five’ model, currently recognised as the most stable and well-defined structure of personality. Orpheus also identifies irregular response patterns, such as ‘answering in a socially desirable way’ or ‘faking good’. This helps to ensure a more accurate interpretation of scores.